The Mediterranean climate region on the west coast of the United States is characterized by wet winters and dry summers, and by high fire activity. The importance of synoptic-scale circulation patterns (ENSO, PDO, PNA) on fire-climate interactions is evident in contemporary fire data sets and in pre-Euroamerican tree-ring-based fire records. We investigated how interannual variability in two fire weather indices, the Haines index (HI) and the Energy Release Component (ERC), in the Mediterranean region of southern Oregon and northern California is related to atmospheric circulation and fire extent. Years with high and low fire weather index values corresponded to years with a high and low annual area burned, respectively. HI combines atmospheric moisture with atmospheric instability and variation in HI was more strongly associated with interannual variation in wildfire extent than ERC, which is based on moisture alone. The association between fire extent and HI was also higher for fires in southern Oregon than in northern California. 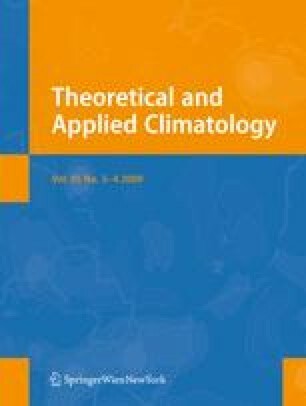 In terms of synoptic-scale circulation patterns, years of high fire risk (i.e., increased potential for erratic fire behavior, represented by HI and ERC) were associated with positive winter PNA and PDO conditions, characterized by enhanced regional mid-tropospheric ridging and low atmospheric moisture. The time lag we found between fire risk potential and prior winter circulation patterns could contribute to the development of long-lead fire-climate forecasting. This research was supported by a cooperative agreement with the USDA Forest Service, Pacific Southwest Research Station (04-JV-11272162-407) from funds provided by the USDI/USDA Interagency Joint Fire Sciences Program and a George S. Deike Research Grant. We thank Brian Potter, Julie Winkler, and Ryan Shadbolt for providing us with the Haines index data set and for helpful suggestions about its application.